What Is the Difference Between a Laminectomy & Laminotomy? Many people who are suffering with back pain that continues to remain uncontrolled after trying conservative treatments may undergo a type of surgery that’s designed to relieve pressure in the spinal column. Two commonly performed procedures that are closely related are the laminectomy and laminotomy. An orthopedic surgeon or neurosurgeon will choose one operation over the other depending on the severity of compression within the spinal canal and the type of structures that are being affected. The lamina are a portion of the vertebra located on either side of the spinous process that protrudes from the exterior portion of the spine. 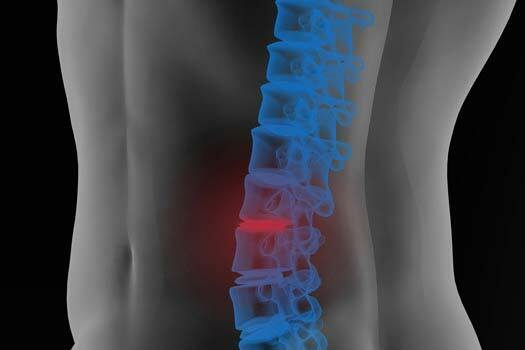 They form a slanted roof for the spinal column with the spinous process acting as the center. The lamina help protect the spinal cord and spinal nerves by being part of the protective bony structure of the vertebrae. Occasionally, changes within the column result in the compression of nerve roots and/or the spinal cord against the lamina, and spine surgery is often the only reasonable option for relieving the painful symptoms caused by the pressure. The procedure can be performed on the lumbar, thoracic or cervical portions of the spine. During a laminotomy, a portion of the lamina and associated ligaments are removed in order to release pinched nerves. The surgeon will generally try to preserve as much of the bone as possible in order to maintain the natural integrity of the vertebral column. Depending on the condition of the target area, the facet joints may also be removed at the same time. When a greater amount of compression is involved in the spinal canal, the complete removal of a vertebra’s lamina, or laminectomy, may be performed. Additionally, part of the spinous process may be resected along with the attached ligaments. A laminectomy may also be done as an adjunct to another procedure, the discectomy, that involves the removal of an intervertebral disc. Since a greater portion of the vertebra is removed during a laminectomy, the surgery is often followed by a spinal fusion in order to add extra support to the spinal column. For more information on spinal surgeries or to receive a second opinion from an experienced spine surgeon in Los Angeles, call The Spine Institute Center for Spinal Restoration at (310) 828-7757.